Over the weekend I had a chance to play with a preview build of Rebel Galaxy, Double Damage Games’ upcoming space combat/sandbox homage to the glory days of space opera. Though the preview wasn’t quite what I anticipated from the press release, it still feels like a potentially splendid entry into the world of free form space adventuring and starship combat. Reading about Rebel Galaxy’s roots in naval combat games instantly put me in the mindset of Taldren’s old Starfleet Command series of tactical space shooters. As well, the notion of flying about the galaxy and charting my own path to glory, or infamy, elicited fond memories of Wing Commander: Privateer and, to a lesser extent, Freelancer. 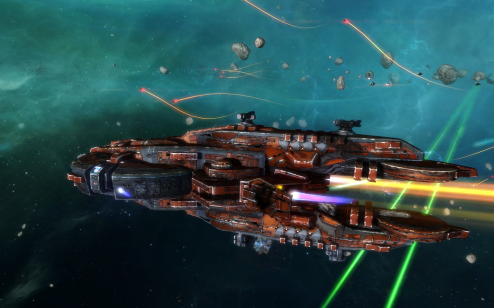 Rebel Galaxy exists soundly at the intersection of both game styles. Though these points of inspiration are clear in Rebel Galaxy’s preview build, it’s also quite obvious the game isn’t looking to stand on the shoulders of giants. The game’s combat model pairs the raw firepower of capital ship battles with the fast-paced intensity of an arcade-style dog fight. Initially, it was all too easy to forget to navigate my ship while taking my time to aim a broadside. However, I quickly picked up the nuances to “sailing”, bombarding capital ships, and flaking enemy fighters as they buzzed about my frigate. For those less inclined to battle, though I can’t imagine why anybody wouldn’t want to stand on the bridge of a space dreadnought and fire volley after volley into their enemy, Rebel Galaxy looks to offer all the usual suspects in terms of missions for a would-be space captain. I experimented with cargo runs, a few fetch quests, and some assassination missions. Along the way I also decided to play hero and respond to a distress signal. Thereupon, I learned a valuable lesson: when the ship’s computer says one is out-classed by the enemies, one should run. Failure to do so might leave a player with their shields torn away like so much tissue paper, this as a prelude to a destroyer laying a massive broadside into their unprotected hull. In terms of its visuals Rebel Galaxy is no Elite: Dangerous. However, it’s still pretty impressive to look at – more so when a person considers the game as the product of a two-man team. The ship designs pay little attention to the necessities or requirements of space travel. Instead, the art focuses on conveying the size and aesthetic of what we imagined the battleships of the future might look like in the 1960s and 70s. Purists may find themselves put off by this choice, likewise by the non-Newtonian flight model; I, for one, enjoy the classic space opera appeal this game is offering. I didn’t bother getting more than two missions into the preview’s campaign. Considering the game isn’t done, I’d rather wait and see what the story has to offer when I can review the whole thing. What I did discover while wading about in the shallow end of space is a good introduction to the world of Rebel Galaxy and helpful tutorial. Completing these story missions offered bonus cash, some new components for the starter ship, and a look at some of the various in-game aliens. Everything on those fronts gives me reason to believe I will be in for an engaging experience when the game drops. The only part of Rebel Galaxy that gave me some slight pause for concern was its control system. Double Damage is developing Rebel Galaxy for both consoles and PCs. Everything about the controls seems fine for my mouse and keyboard setup. Of course, my ship isn’t particularly well kitted. My worry is if more kit leads to more complicated controls, then the fast paced nature of the game might prove to be something of a liability. I suspect, however, I’m worrying over nothing. Overall, I think it’s fair to say that Rebel Galaxy is officially on my radar. While it might not give me the fix that Starfleet Command 2 has left me jonesing for, it certainly gives every impression of being a game that will scratch my space combat itch. 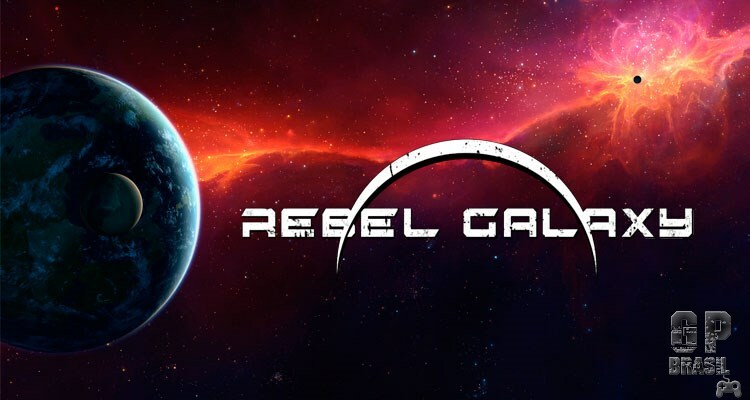 Rebel Galaxy drops later this year.